Lendwithcare provides entrepreneurs in developing countries with ethical loans to enable them to work their way out of poverty with dignity. The wonderful thing is that, being a loan, the money is repaid, allowing you to help people to help themselves to develop a business and at no cost to the lender. And with interest rates so low there is no better time. It starts with an idea. A farmer may need a loan to buy a tractor to increase crop production or to buy livestock or fertiliser. A local women’s group may wish to buy materials to sell in a shop or market. A workshop may need to repair or upgrade machinery. You can choose to lend by country, gender and groups/individuals. The entrepreneur requests a loan from a Lendwithcare partner who is a microfinance organisation. Once approved, details of the loan requested are posted on the Lendwithcare website. Potential lenders then choose whom they would like to lend to and what amount. A typical loan would be £15. Once the entrepreneur is fully funded, the loan is made. Regular updates are posted to the website and the lender receives a monthly email listing repayments made, and the new credit balance of the lender, which can be withdrawn or used to fund another loan. 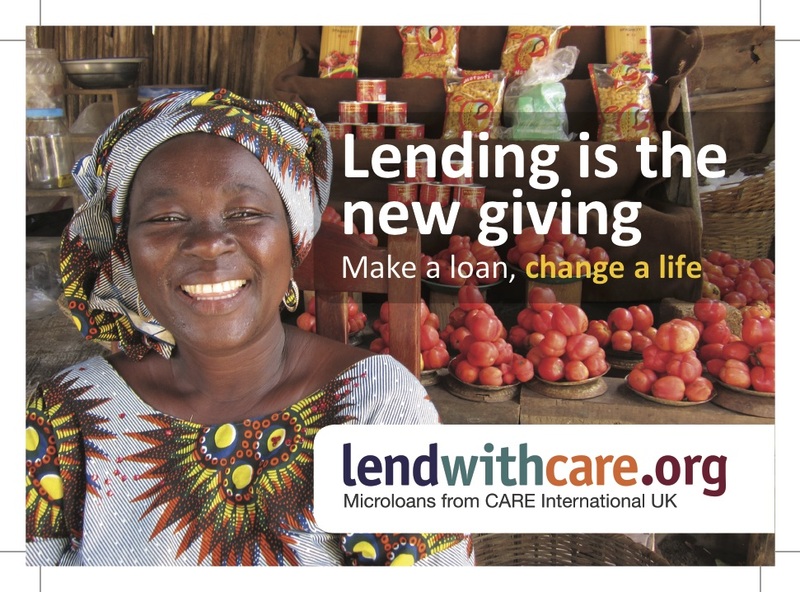 In recent years Lendwithcare has also provided loans to help people improve sanitation (reducing sickness, thus increasing available working days) and to help people who have become severely indebted through high interest loans from moneylenders. I have been supporting Lendwithcare now for six years and have increased the amount of lending each December. The web site tells me that over that period I have made 94 loans to 181 people. This has helped 584 family members and 211 jobs have been created. Yet it has cost me nothing! To date, all of my loans have been repaid or are in the course of repayment. Not a single entrepreneur has defaulted! So, if you would like to make a difference to people who are trying hard to lift themselves and their families out of poverty, by making an ethical loan, then please consider lending, here, or buying a gift of a loan here. Lendwithcare presents "The Gift of Opportunity"
What if there was another choice?THIS is the Christmas ad you've been waiting for!Lendwithcare presents "The Gift of Opportunity".Go to www.lendwithcare.org/gift_vouchers to send a Lendwithcare voucher.